Known by old Bollingtonians, the miners and quarrymen, as the ‘top road’, and as early as 1270 as ‘le sideway‘, and also known as Township Road in the 1800`s. Windmill Lane runs all along the west side of Kerridge Hill about half way up the hill. 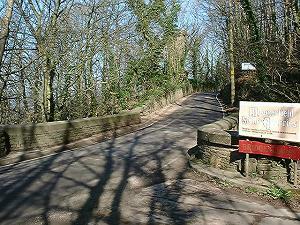 The lane starts at the top of Redway, by the cottages, by the very steep entry to Cheshire View, and continues almost straight and level along the hill, over Victoria bridge, past a short lane up to Turret Cottages then to Five Ashes, and a short distance further to the end on end junction with Kerridge Road at Marksend (marked on the road side by two street name signs side by side). 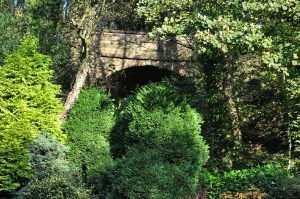 Incidentally Five Ashes acquired it`s name around 1954 and referred to the five outside toilets in a block opposite the cottages. The toilets were made of stone with a large plank to sit on. No water was involved just a pile of ashes from the coal fires. When the household bins were emptied the ashes were cleaned out of the toilets and went to the tip too. Approach from Redway, Rainow or Hurdsfield. Nearest shops – Bollington, Hurdsfield. We can see the effects of quarrying along the hillside, large areas of extraction surrounded by huge numbers of sycamore trees. Well at least they hide the worst of the industrial waste! 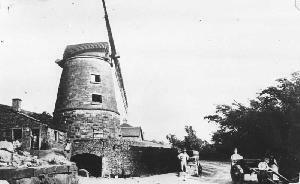 Windmill Lane would once have been relatively open with glorious views to the west, indeed, even as recently as the 1970s it was possible to enjoy the views from several places along the road. 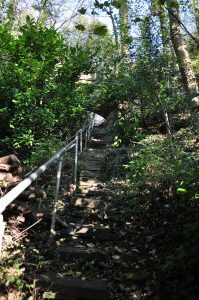 Nowadays, the tree growth ensures a shaded and secretive road with just the occasional view through gaps in the trees. 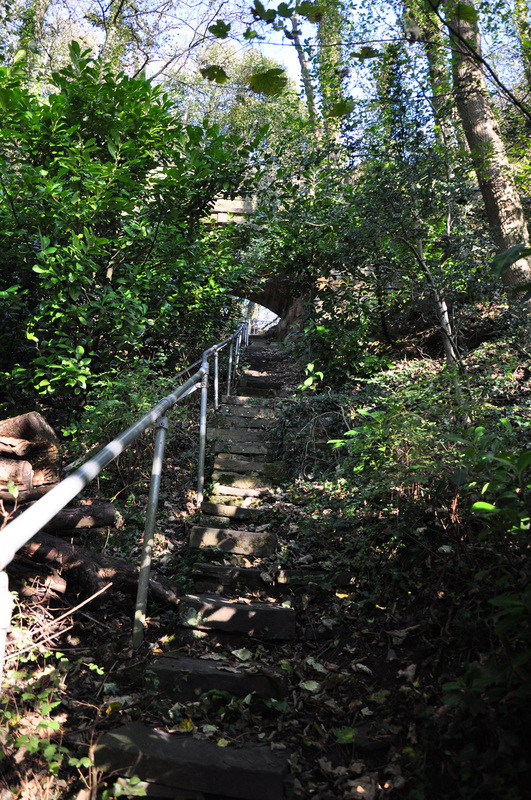 Along the northern end of the lane there are several ginnels which lead into the quarries. 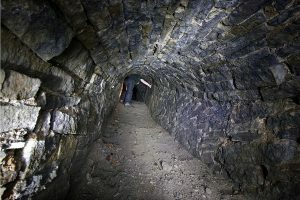 Only four quarries are active today, Sycamore, Bridge and Five Ashes, and Marksend in the Rainow section, with Five Ashes being used also for earth disposal. 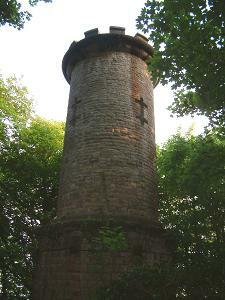 There are two major items of interest to see along the lane – Clayton’s tower and Victoria Bridge. Victoria Bridge (left) crossed the inclined plane that marked the top of the ‘Rally Road’. There were two tracks up the incline where trucks were hauled up empty and lowered down loaded with stone. A steam powered winding drum at the top provided the motive effort via cables. 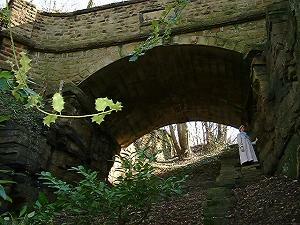 It is thought that there were tracks along some parts of the lane in order to bring stone from other quarries. Out of use by 1870. But quarrying was only one of the industries along this lane. Coal mining was another. The tower was built by William Clayton and was thought to be a ventilation shaft for mines under the hill. However, an internal investigation carried out for the KRIV project (2009) has shown that it stands on rock with no shaft below it. It is possible that it might have been intended as a chimney top with a shaft running up the side of the hill to join it but there is no evidence of that. 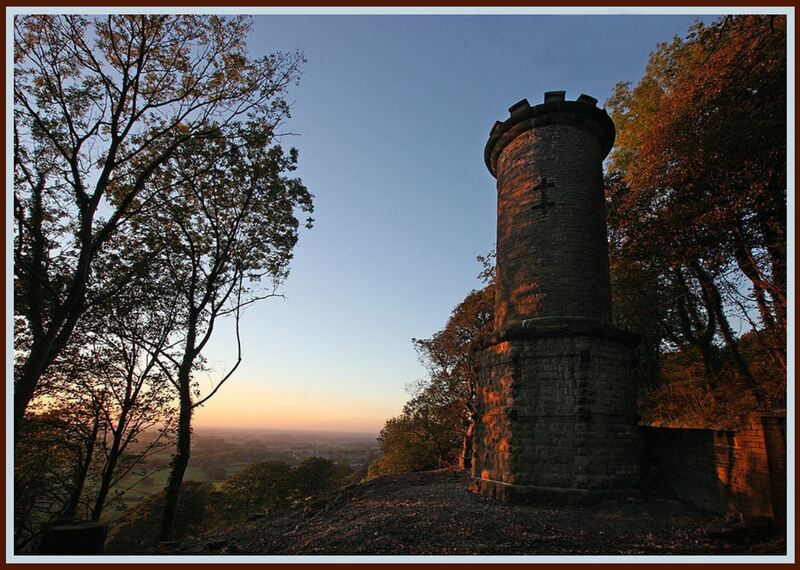 It could, of course, have been a folly with an industrial angle to impress others – especially the Gaskell family who lived on the other side of the hill and built White Nancy! 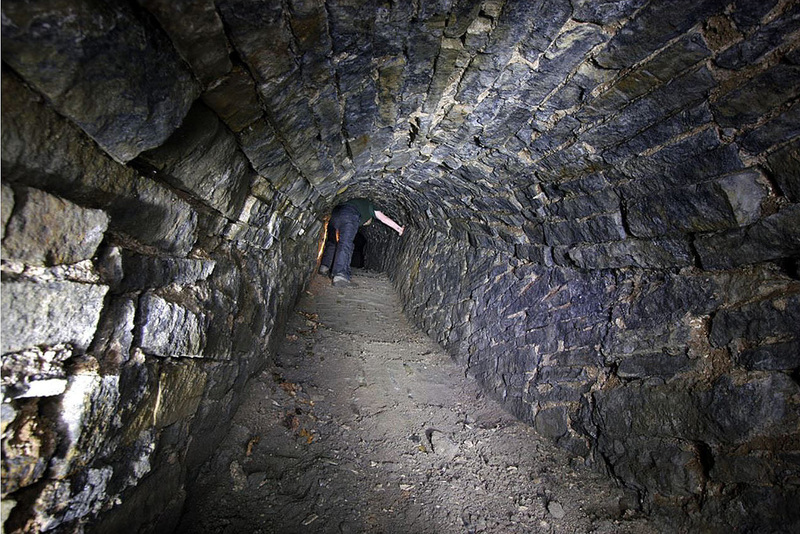 Most coal extraction was on the other, east, side of the hill and it is said that there was a tunnel right through the hill to bring coal to the west side, presumably so that it could be taken down to the Macclesfield Canal for delivery. Coal mining ceased here in the early 20thC due to flooding. William Clayton was a very successful industrialist who built both Endon House and Endon Hall, but is thought not to have lived at either, living instead at Starkey House in Street Lane, Adlington. At the southern end of the Windmill Lane is Five Ashes. Here is a group of cottages which mark the centre of a once very active location. Looking from the road, to the right of the cottages is a field with some serious earthworks in it. This was once an industrial site possibly for stone cutting and dressing. To the left of the cottages there now stands a nice garden with a new stone wall around it. The lawn marks the spot where Kerridge windmill (left) once stood.